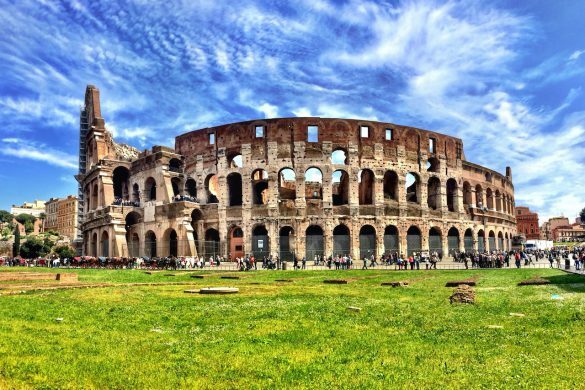 The great sites of Rome include museums, churches, fountains, ruins and an ancient stadium. 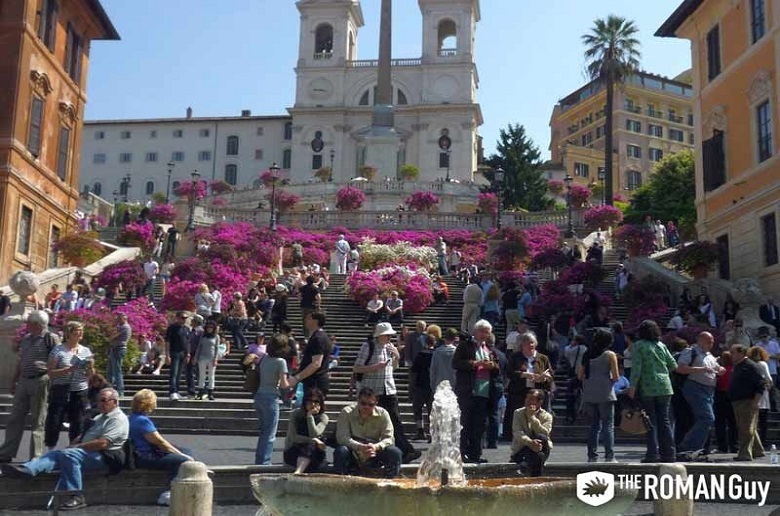 An often overlooked, but famous landmark is the Spanish Steps. 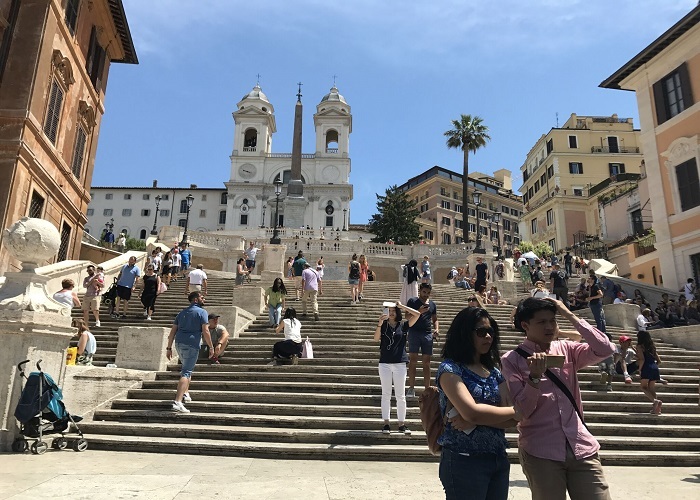 Connecting the Piazza di Spagna Square and the Trinità dei Monti, why is this staircase so incredibly famous? 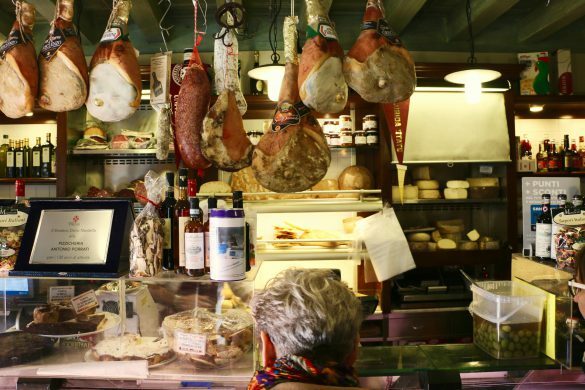 Experience all of Rome’s main attractions and lesser-known local gems on your visit to Rome. Make your visit to The Eternal City a special one with The Roman Guy. We offer several Rome tours. If your time in the Eternal City is limited, visit all of Rome’s main attractions on our Rome in a Day tour. 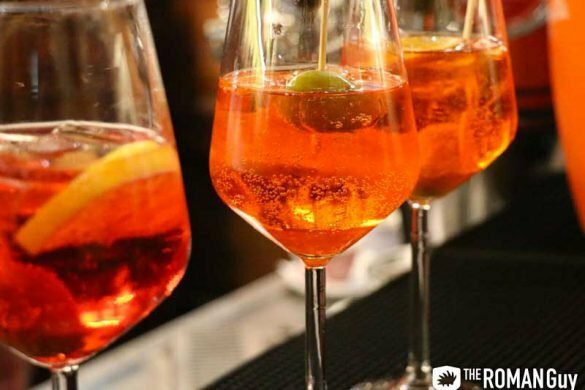 At The Roman Guy, we love Italy and want to share our love for Italy with you. The Spanish Steps gained more exposure to the world audience through the 1953 blockbuster film Roman Holiday starring Audrey Hepburn and Gregory Peck. The movie gave American audiences an in-depth view of Rome and created the centerpiece aura of the Spanish Steps. In the film, Audrey Hepburn can be seen throwing her gelato on the ground. We do not recommend this behavior as it could result in a significant fine for littering. Before the Spanish Steps hit the silver screen, they were already one of Rome’s most impressive pieces of architecture. Built between 1723 and 1725, the steps were designed to connect the newly constructed Trinità dei Monti Church on the Pincian Hill to the square in the city below. Contrary to the name, the Spanish Steps were funded by the French diplomat Étienne Gueffier at the service of the French king. It’s important to remember that Italy only became a country in 1861 with Rome not joining until 1870. Prior to the Italian Unification, it was commonplace for foreign kings and benefactors to build churches and infrastructure in order to secure influence over the Vatican. The building of the staircase was a major show of force by the Bourbon French connecting their newly built church to the Piazza di Spagna (Spanish Square). Spain at this time was also under Bourbon rule and the Spanish Steps were a powerful show of the French empire. In Italian, the Spanish Steps are called the Scalinata di Trinità dei Monti, referring to the church at the top of the staircase. The name Spanish refers to the piazza at the bottom of the steps. The name Piazza di Spagna is derived from the square being the location of the Spanish Embassy to the Vatican. Today the square still keeps that name and the closest metro stop is also called Spagna on the Metro A Line. Inside the square, you will find one of Rome’s most interesting fountains, the “Fountain of the Boat” which was sculpted by Pietro Bernini. Pietro Bernini is most famous for being the father of the world-renowned Gian Lorenzo Bernini, who sculpted many of Rome’s other great fountains. 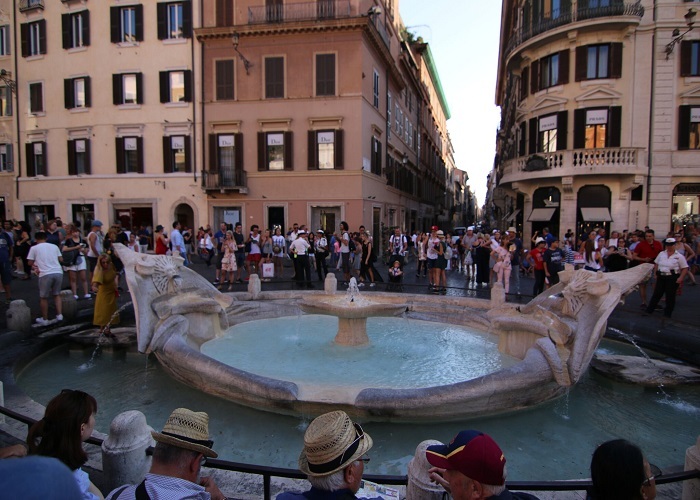 This fountain portrays the Great Flood of 1598, where a fishing boat was found all the way in Piazza di Spagna from the overflowing Tiber River. The fountain itself shows a half sinking ship and is intentionally designed to aid the low water pressure in the area. To the right of the stairs, you will find the Keats-Shelley House. Here is where the famous Romantic poet John Keats lived in Rome and where he passed away in 1821. Today the house is a museum and library, which is an amazing experience for those into poetry. 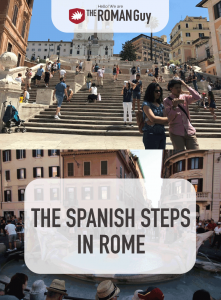 Imagine how cool it would be to live on the Spanish Steps! Today it is much busier than it was 200 years ago, but even then it was one of the most happening spots in Rome. The Keats-Shelley Museum is a unique place to visit when you’re in Rome. The Spanish Steps are a great place to take pictures and are useful for reaching the Villa Borghese and the Villa Medici from the city center. Though usually quite crowded, there is usually space to sit down and enjoy the view. 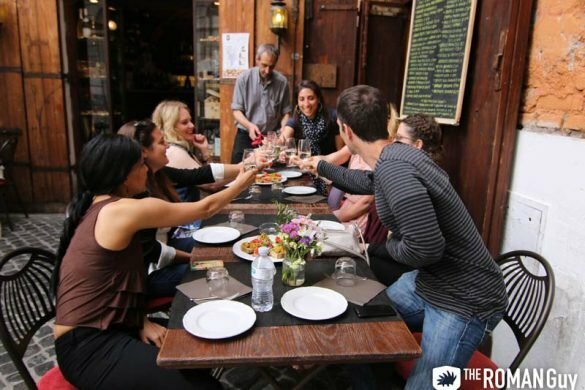 While it is a wonderful spot to sit and relax, eating on the Spanish Steps is strictly prohibited. The area around the Spanish Steps is centrally located in Rome’s prime shopping district, making it a great place to stay on your trip to Rome. If you want a Roman holiday like Audrey Hepburn, the Spanish Steps are where you will want to center your trip. La vita è troppo breve per mangiare male. Life's too short not to eat well.